Stock WH = 16, WL = 25 20"
I would just like to say how delighted I am with your large windscreen I purchased recently. It really has made, for me, riding the ST1300 a much more enjoyable experience. Gone is the need to wear ear-plugs, as this screen has removed most of the wind- noise. That has been a huge benefit to me. 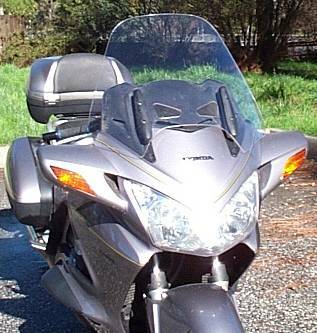 Gone is the buffeting by the wind on my arms and helmet, and even though I have the handle bar risers fitted, I do not get wet wrists or arms when riding in wet weather. 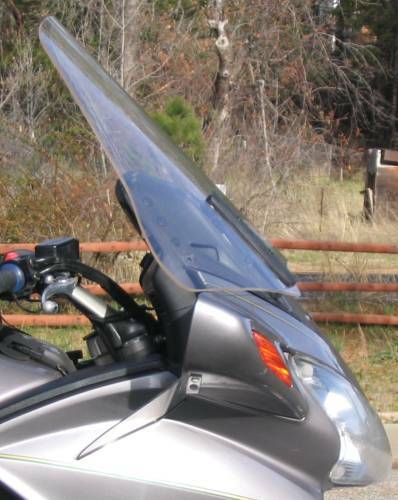 With the under-mirror deflectors, it has also removed the wind buffeting for my pillion (my wife), which obviously has increased her enjoyment in riding the ST1300. Under Mirror Wind Wings dramatically improve the wind flow through the cockpit	area. 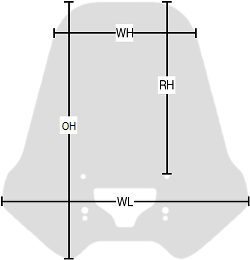 Turbulance around the driver's sides and helmet is greatly reduced. The backdraft on the ST1300 is almost completely removed. 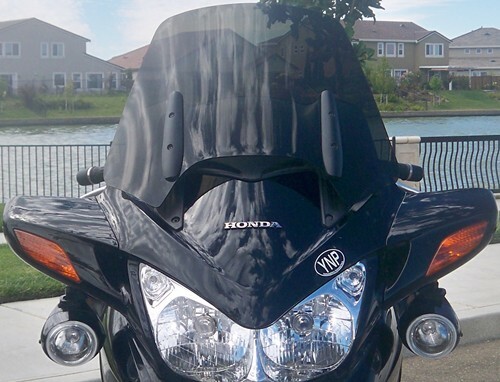 These are great if you ride in the rain or with a passenger. The updraft, turbulence, and	buffetting on the passenger are almost completely eliminated. $60. 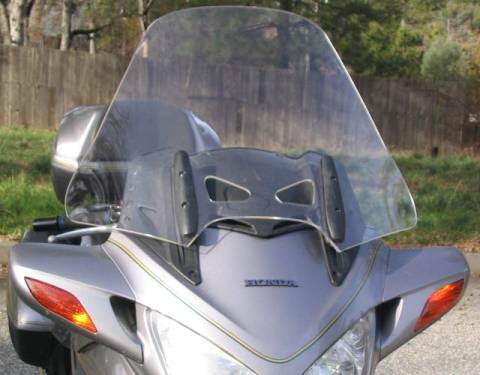 ST1300 Electric Windshield Conversion Kit makes the task of converting your 2003ST1300 standard model to electric windshield simple. 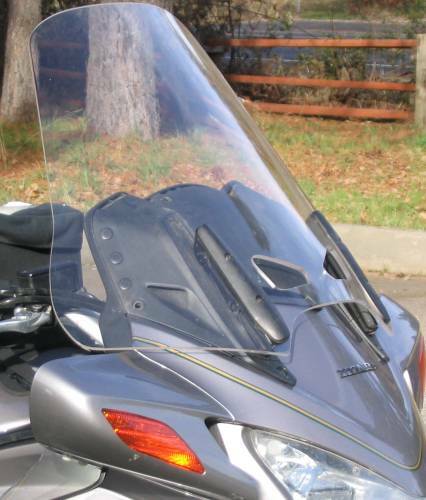 The 2004 ST1300s all come with electric windshields. 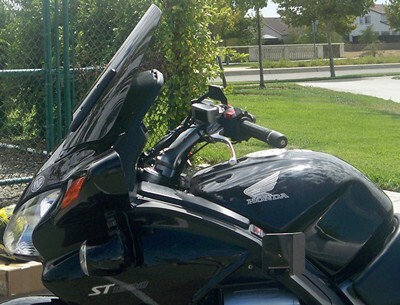 The 2003 ST1300 standard model is the only ST1300 which will ever be produced without an electric windshield. 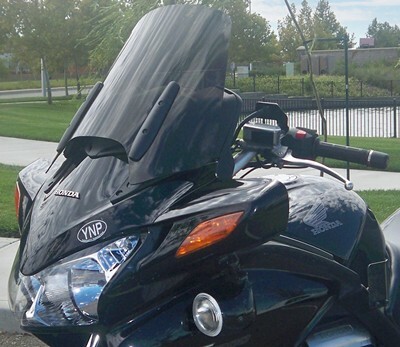 So converting your 2003 bike will increase your enjoyment and its resale value. We make an accessory wire harness and modify the ABS style switch set to make this conversion electrically easy, and mechanically only a bit tedious. We fully support the Honda relays, without which you will strip a 5¢ gear and wreck your $350 motor assembly. 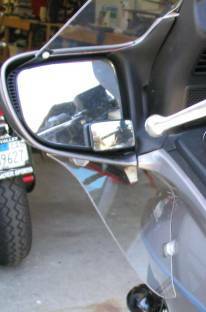 With our kit, you can use our switch to work the windshield, or you can use the Honda ABS switch set, which we modify to work on your bike. 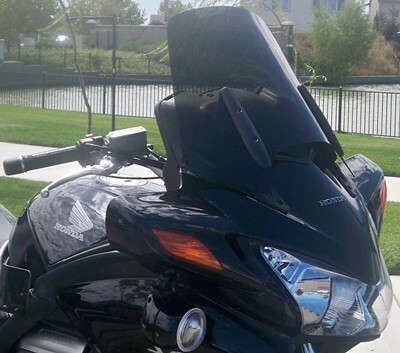 With the modified Honda switch set, your bike will look completely stock and the four-way flashers will work. 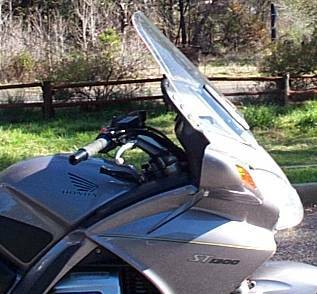 You can buy the required Honda parts at your local dealer, or discount at hondaparts-direct.com Ship your ABS Left Switch Set to us, and we'll convert it for you to work with your wiring harness. More info on this conversion is available here on this web site. Expect this conversion to cost about $575 total. David Silver Spares sells conversion kits for the UK and European market. 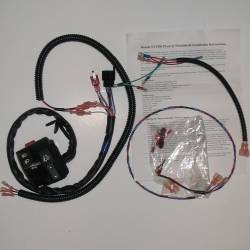 The DavidSilverSpares.com kit includes our wiring harness and instructions, and all the Honda parts and everything else you need all in one box. The handlebar switch is a converted European ABS style switch, including the flash-to-pass feature missing on US bikes. The European conversion kits sold by DavidSilverSpares.com will not work on N.American bikes. 1. Wire harness only, includes a mini switch that fits in your throttle housing to work the windshield. $60. 2. 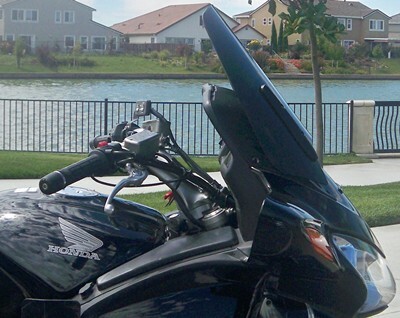 Modify your Honda ABS style switch set to work on your non-ABS bike. Ship your switch to us, we'll modify it and send it back. $20.